Wish you could understand and target your mobile ads based on how your customers behave on the ground? Join the largest location based targeting platform in the world. Sophisticated mobile targeting ensuring measurable performance. Learn how we do this below. 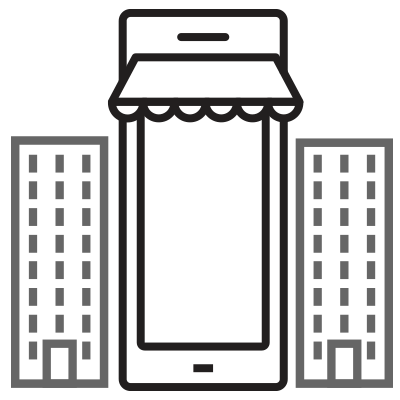 With on-premises mobile location targeting we take geo targeting to a new level. Blueprinted locations means we can tell precisely whether a person is in a store, in a parking lot or within walking distance of a location. All this allows you to immediately impact present and future behaviors. Reach consumers in real-time when they are around Blueprinted locations. Proximity targeting allows you to define a geofence around a specific location to message or influence nearby consumer behavior. Neighborhoods allow marketers to target unique geographical boundaries based on the combination of visitation patterns and audience segments, providing a scalable custom-targeting solution. Is the Auto Industry Optimizing Itself Out of Sales? Can Experiences Help Save Ailing Retailers? See what location can do for you.